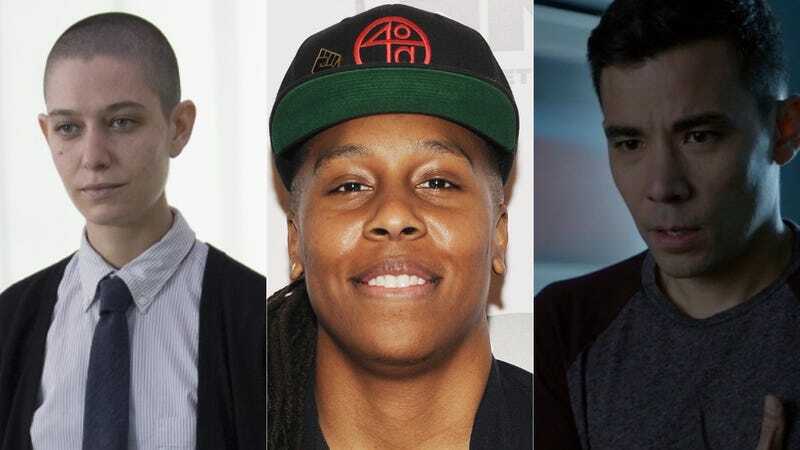 GLAAD’s latest TV study found that LGBTQ characters will have a record high visibility this season, but that the majority of those characters are white and male. The “Where We Are On Tv” report counted LGBTQ characters across broadcast, cable, and streaming platforms for the 2017-18 season, and while broader representation has improved, there’s not much diversity within that progression. Of the 901 series regular characters expected to appear on broadcast primetime scripted programming in the coming year, 58 (6.4%) were counted as LGBTQ. This is the highest percentage of LGBTQ regular characters GLAAD has counted on primetime scripted broadcast programming. There were an additional 28 recurring LGBTQ characters. This is 86 total LGBTQ regular and recurring characters on primetime scripted broadcast TV, up from the previous year’s 71. These identities have been depicted onscreen before, but rarely, and such characters were usually relegated to one-off episodes and stripped of nuance. Broadcast is the only platform tracked without an asexual character; cable and streaming each include one asexual character (Raphael on Freeform’s “Shadowhunters” and Todd on Netflix’s “BoJack Horseman”).